Hand-matched for exceptional beauty and brilliance, these 22 round diamonds are approximately .30 carat total weight. 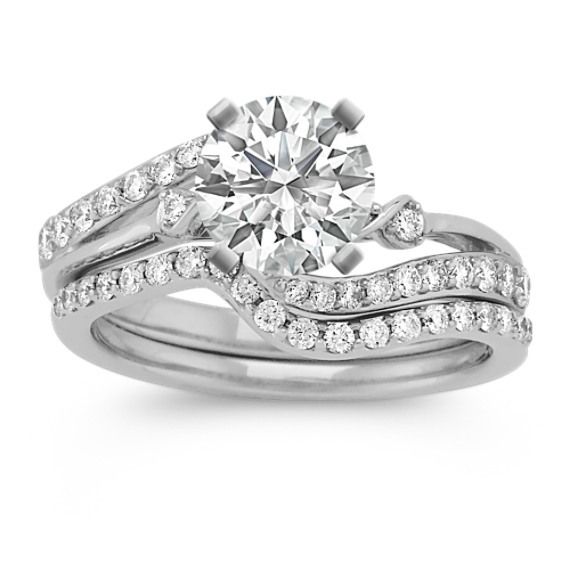 The stones are set in a superior quality 14 karat white gold split shank design. Add the center diamond of your choice to complete this exquisite look.